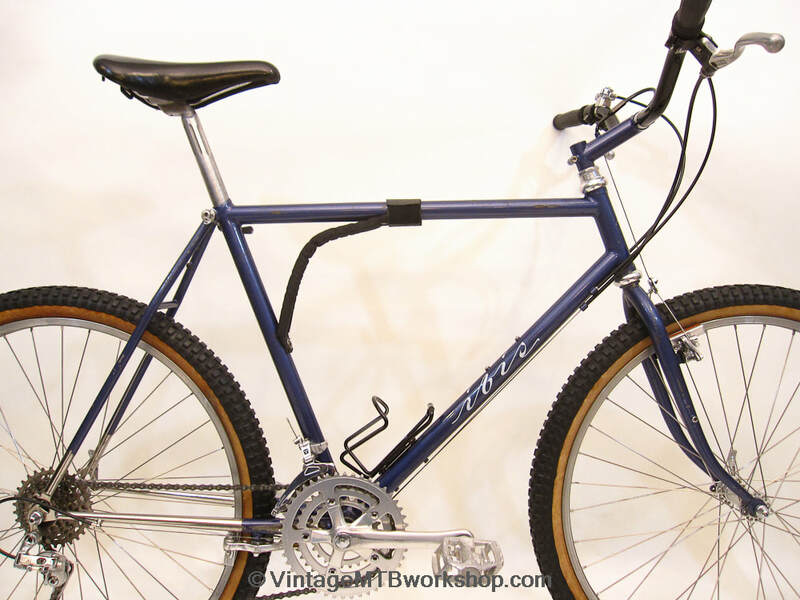 Very early on in the history of Ibis Cycles, founder Scot Nicol saw the virtues of TIG-welded bicycle construction: light and fast with a small heat-effected zone. 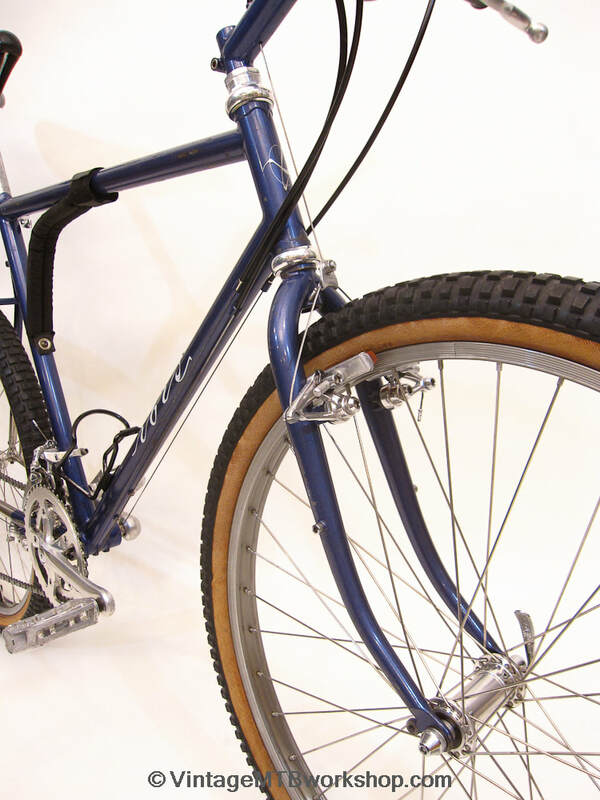 Perhaps only his first dozen bikes were built with the more traditional method of fillet-brazing, as taught to him by Joe Breeze and others. 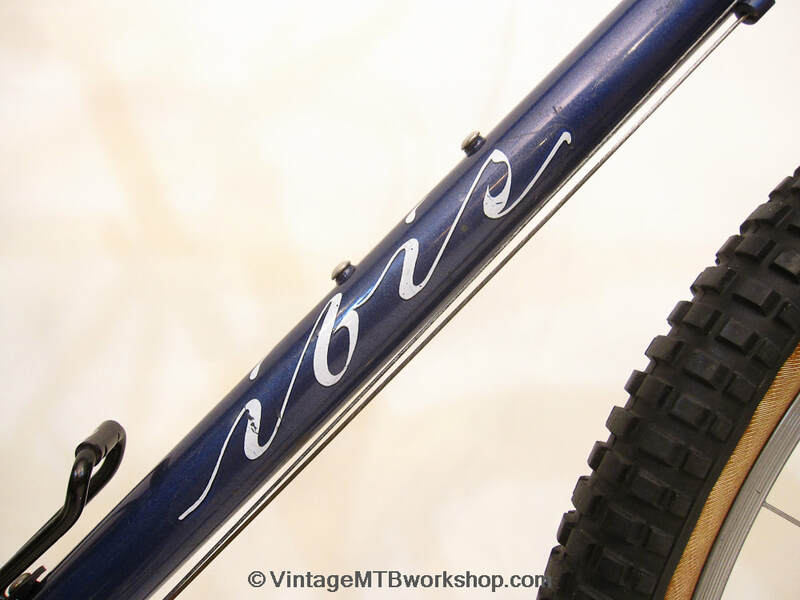 Surprisingly, this example, with a serial number which appears to be 50 and is certainly one of the first 100 Ibis bikes built, features fillet-brazed construction. 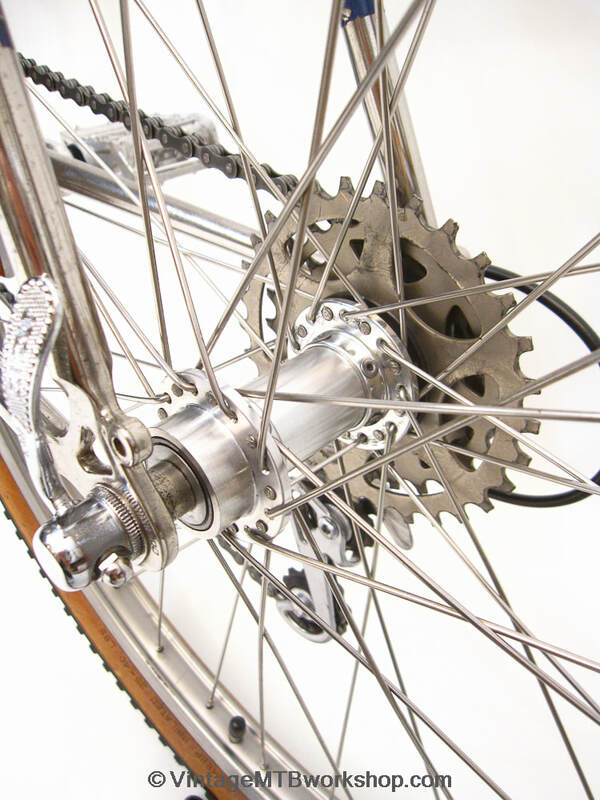 As was common with the earliest Ibis Customs, the rear stays are nickel plated. 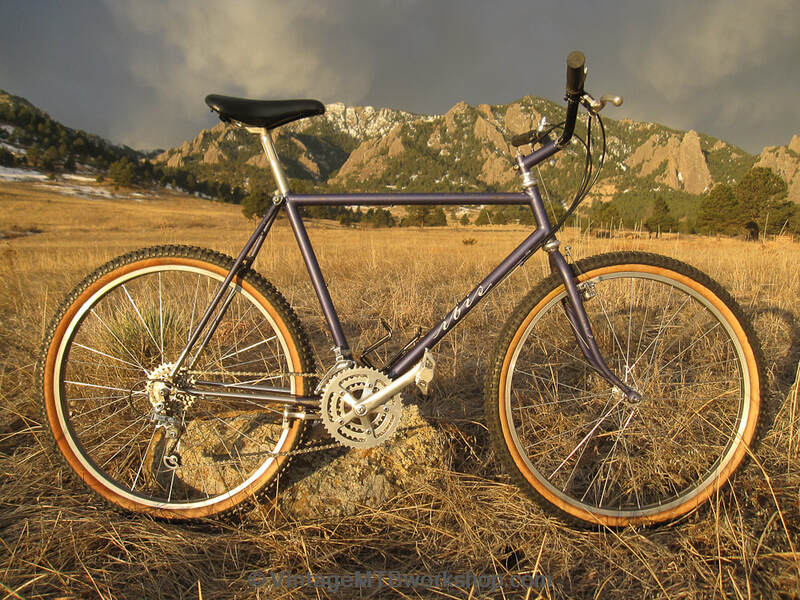 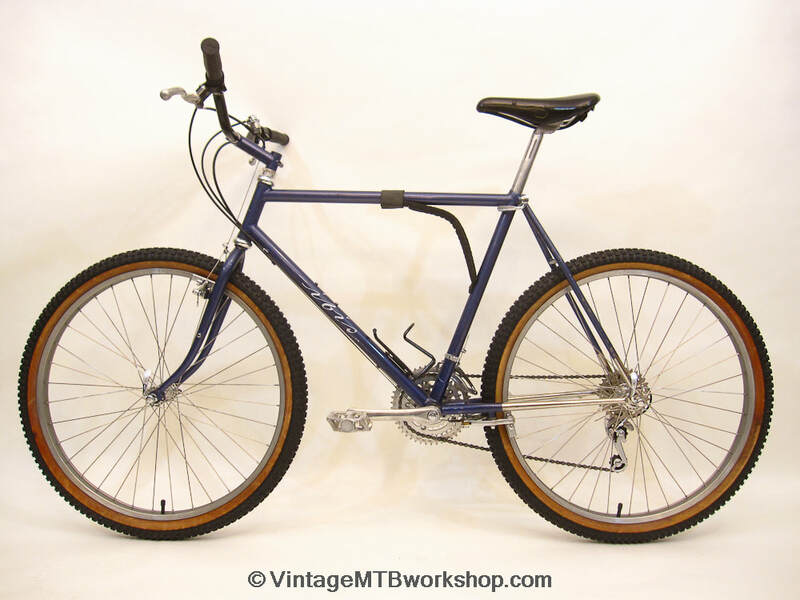 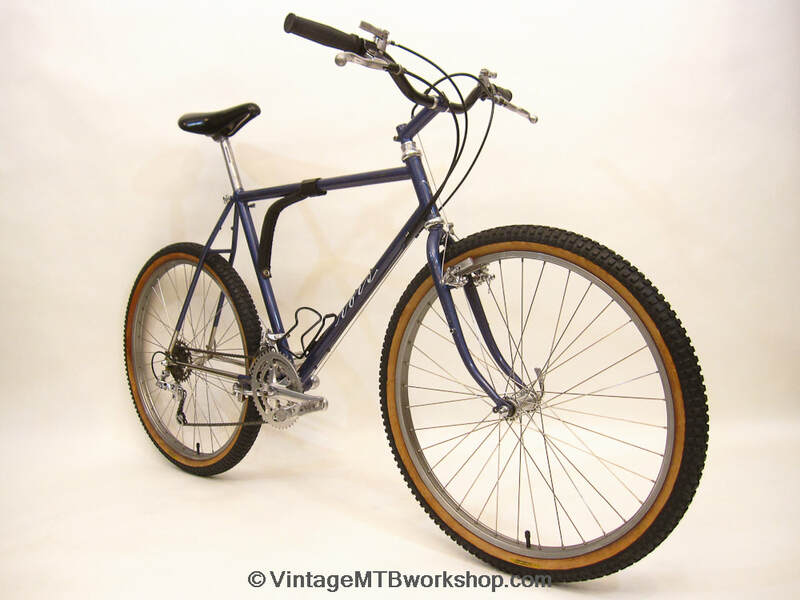 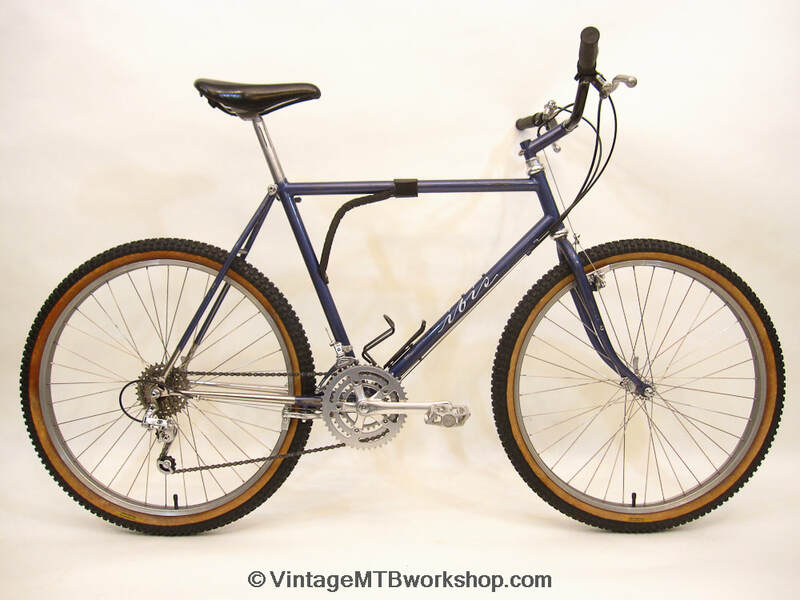 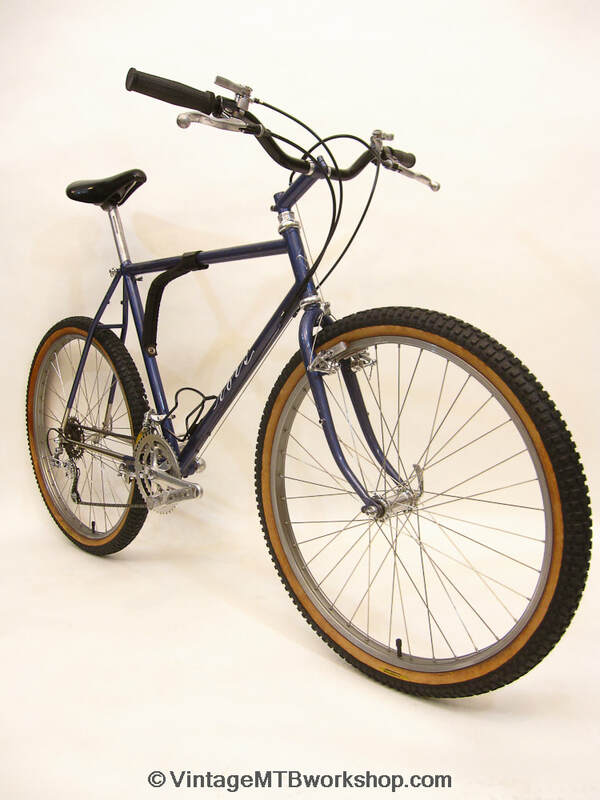 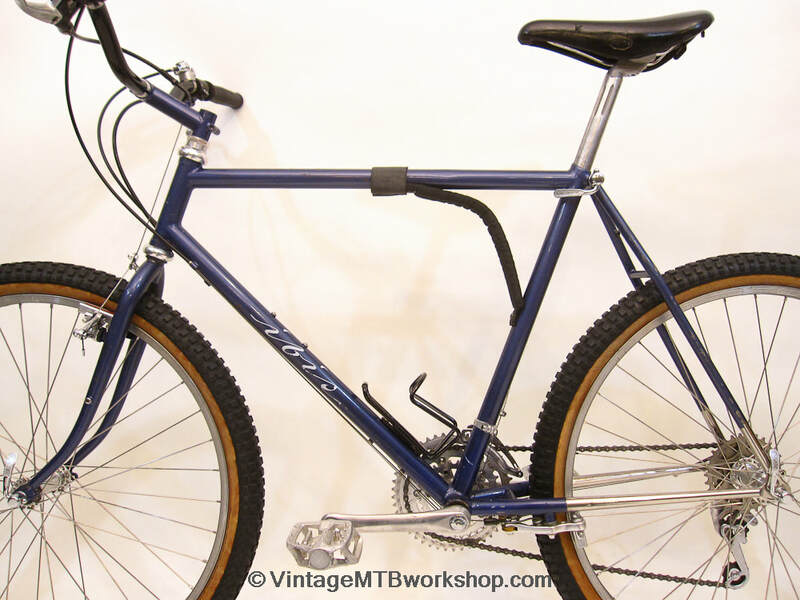 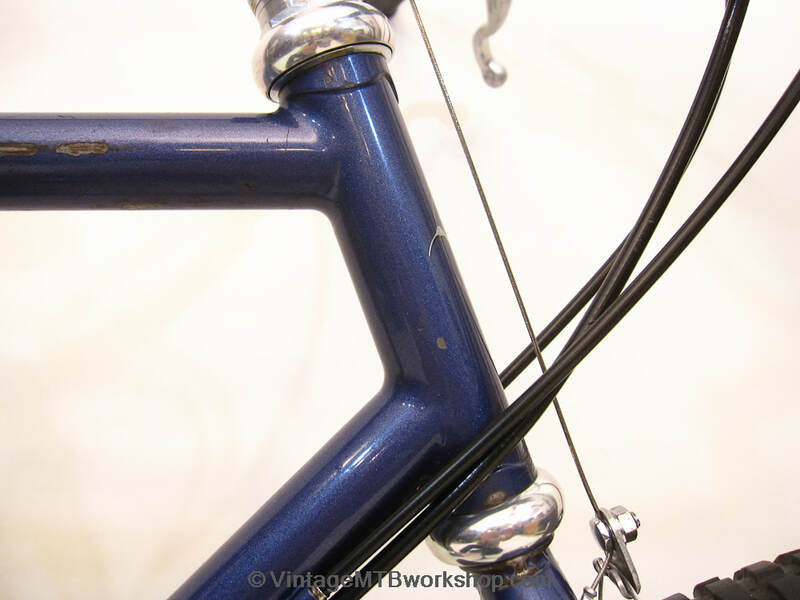 However, other features such as the uni-crown fork, tapered stays, and split cable guides are more indicative of Ibis bikes from the late 80s, such as the harlequin Ibis in the collection. 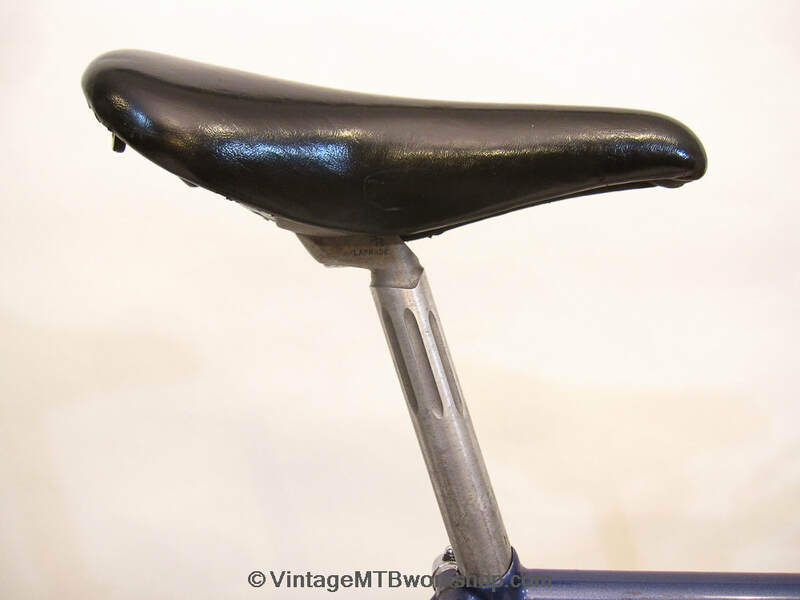 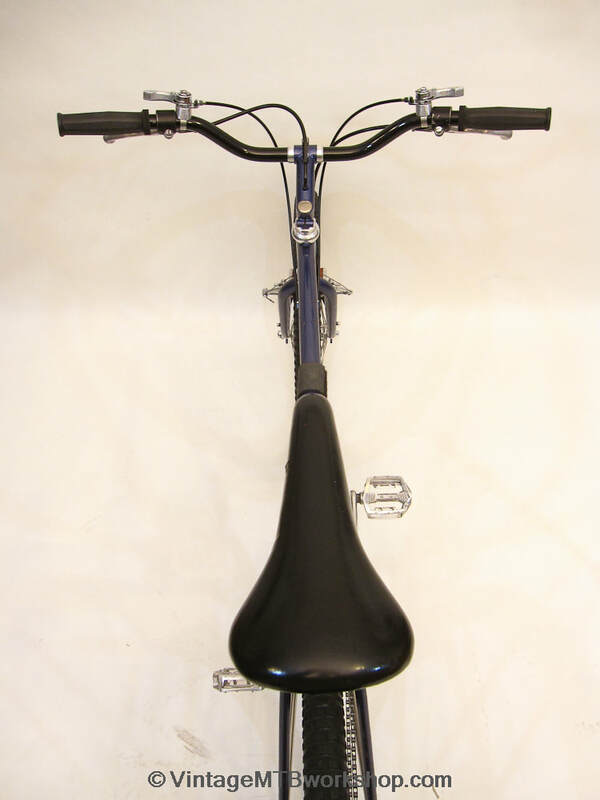 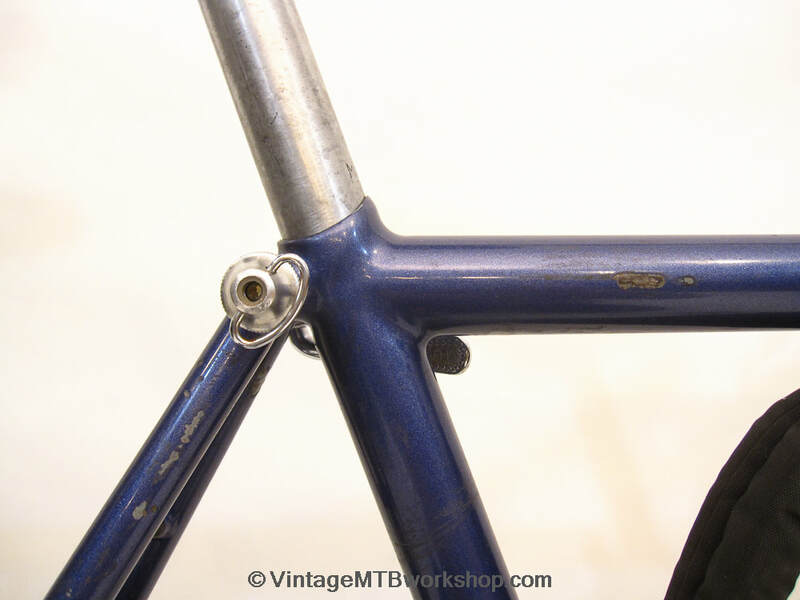 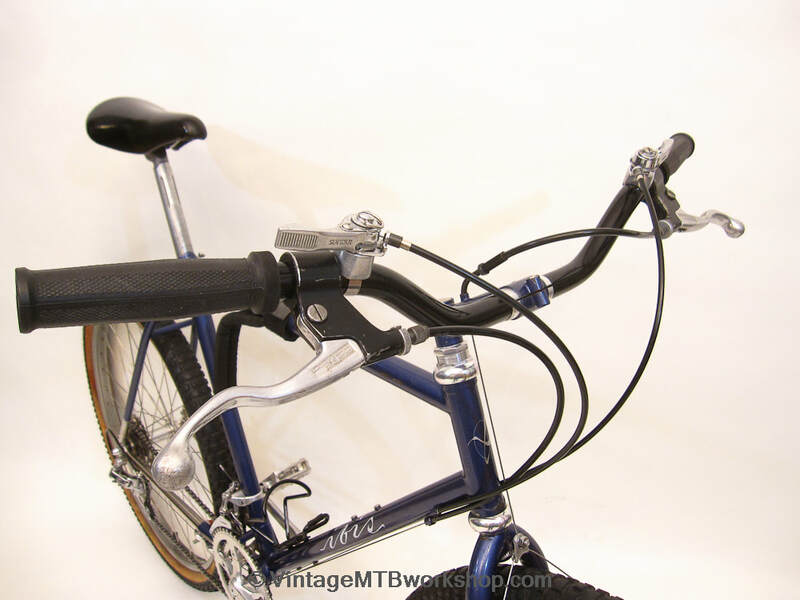 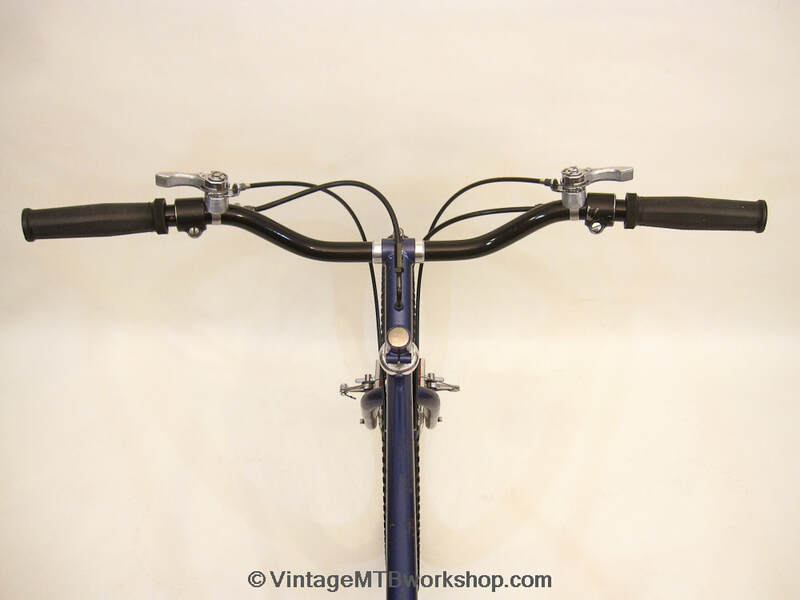 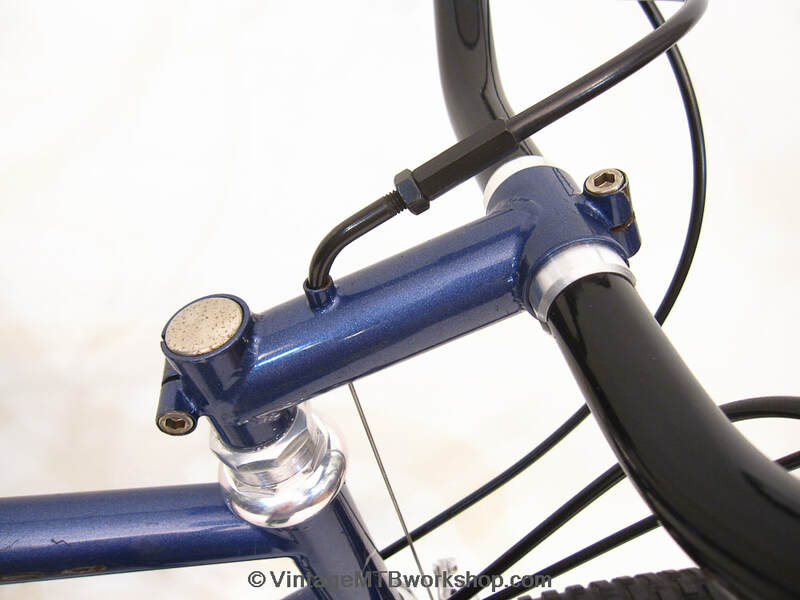 In any case, the fillets on this bike are small and the frame incorporates a substantial sleeve at the bottom of the seat tube and a minimal ring at the top. 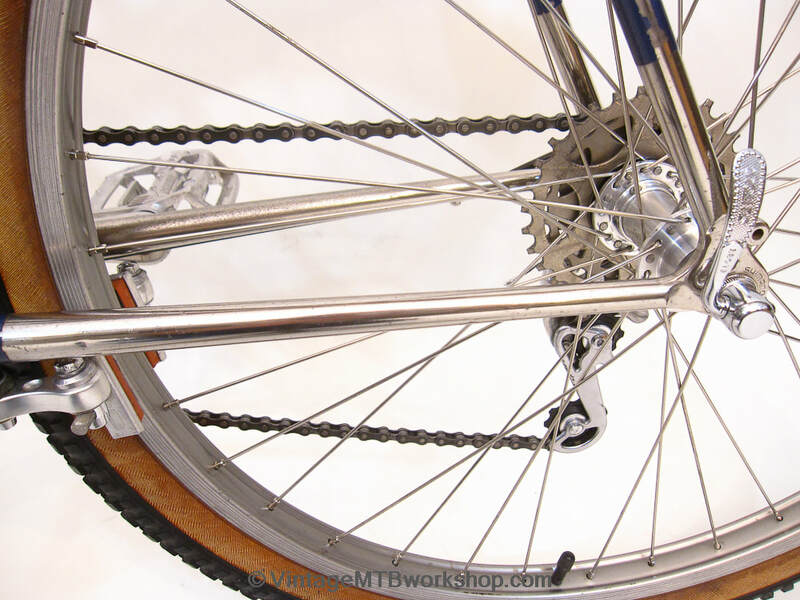 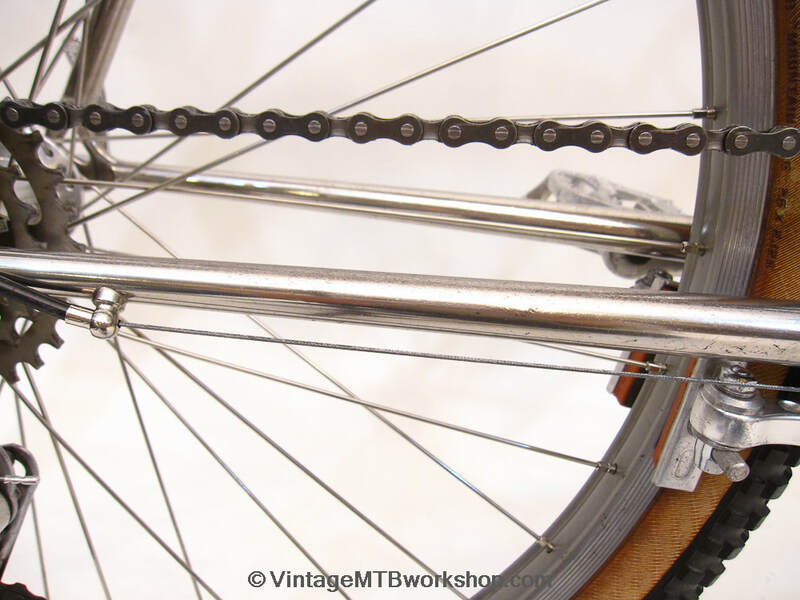 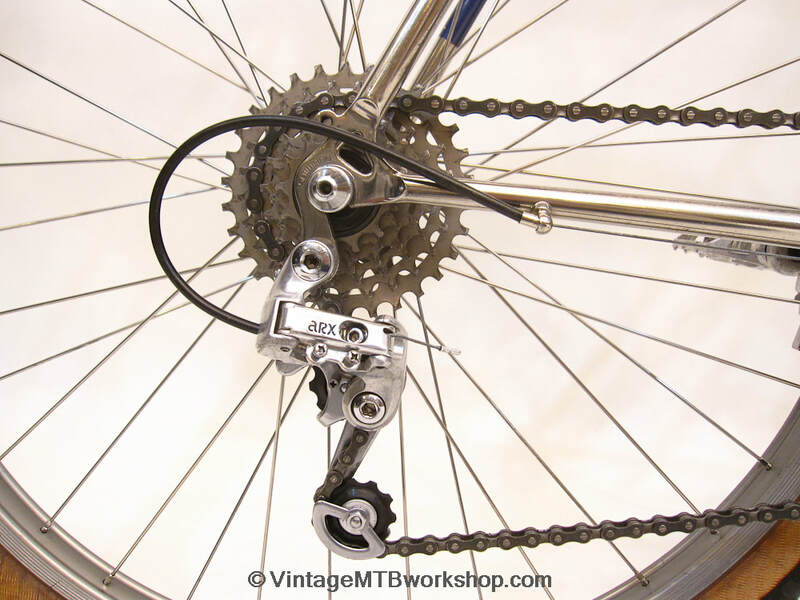 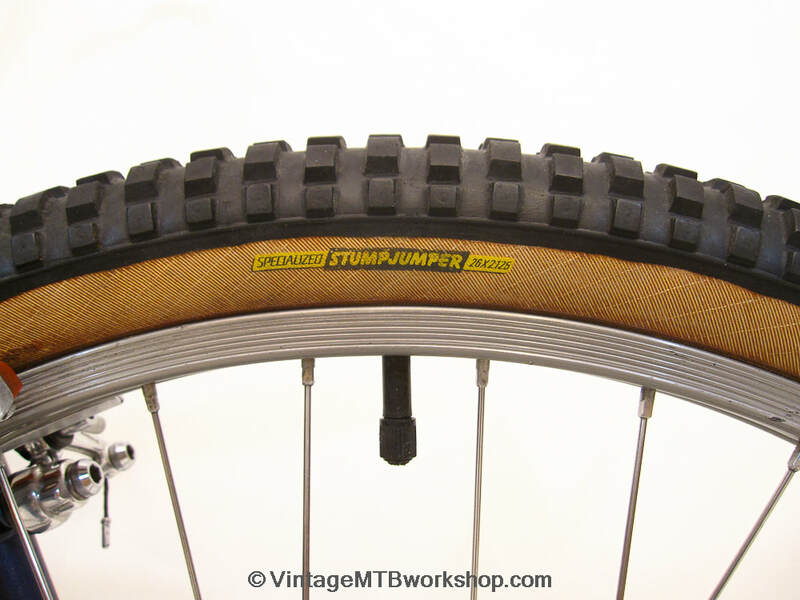 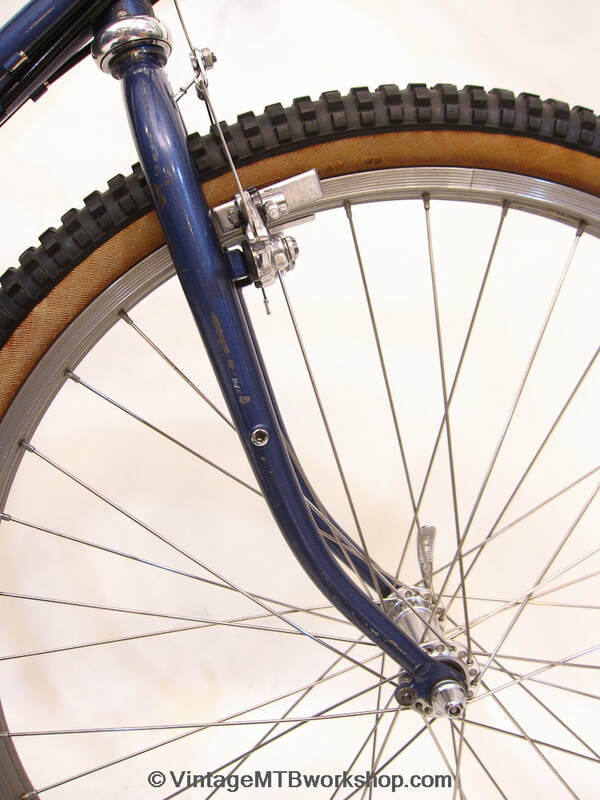 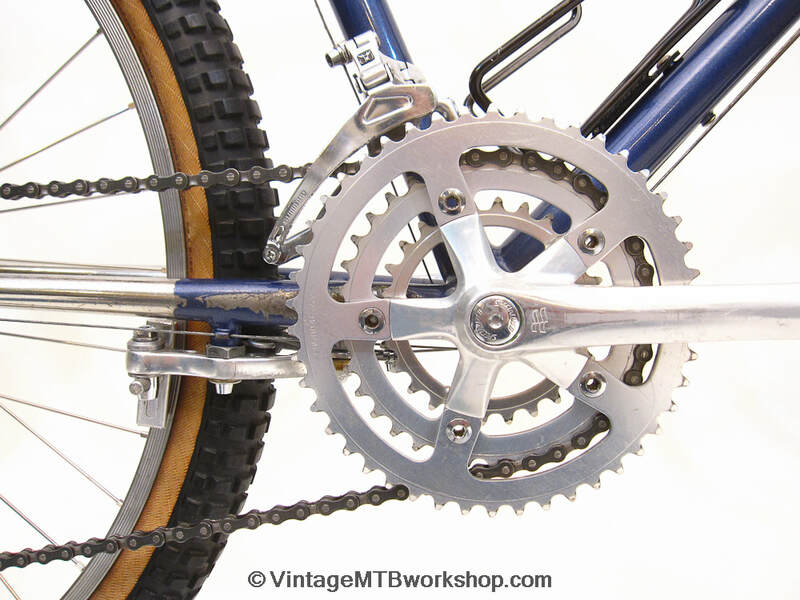 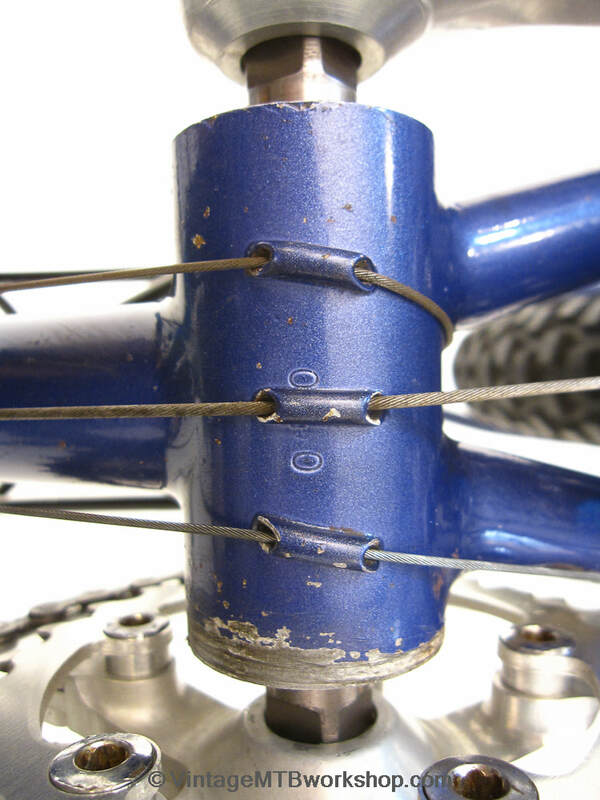 The hubs are Ibis-modified Hi-E, following a riveting method developed by Charlie Cunningham which allows the bearings to be serviced without unlacing the wheel. 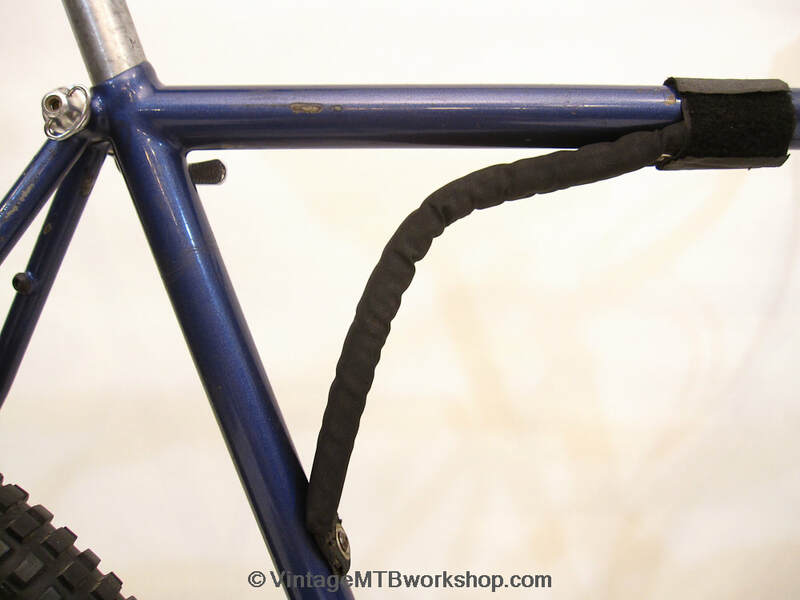 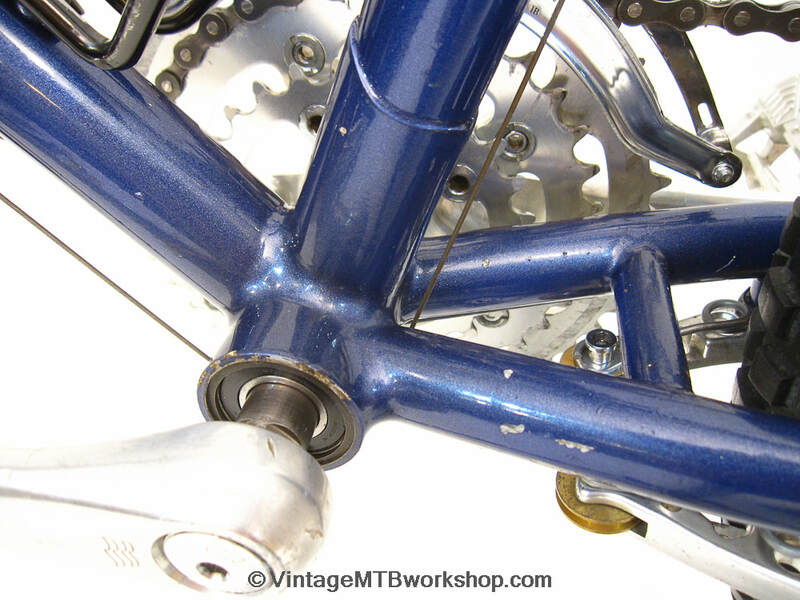 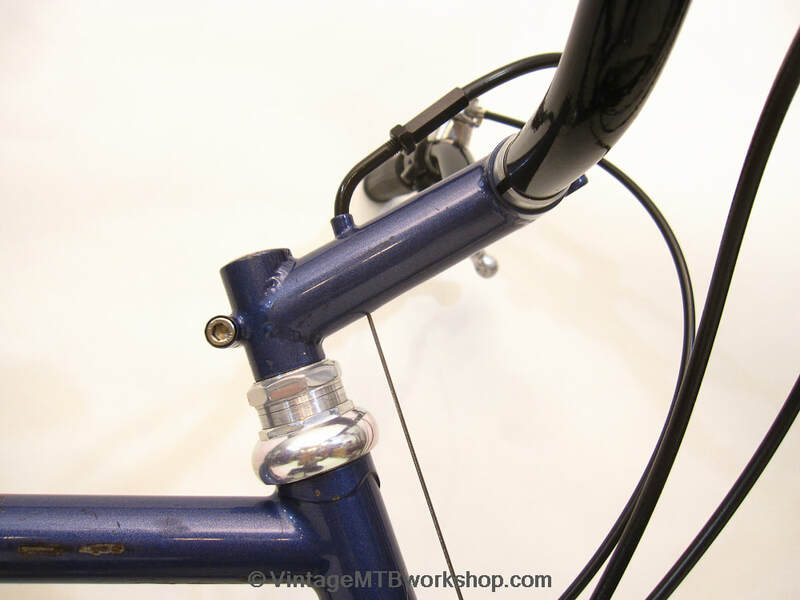 The stem clamps to a stud brazed into the top of the fork steerer, with a motorcycle cable noodle to route the front brake.